Earlier tonight, Frank and I decided to go out for sushi. Man, do I LOVE me some sushi. A lot of times, I’ll make-shift some sashimi bowls at home to save money, but when we go out, it’s a real treat. We purposefully ignore all the “unhealthy” things involved with eating out. Bad oils, cooking with aluminum…In this case, farm-raised fish (fed corn, soy, antibiotics, food coloring, etc. ), soy sauce (probably GMO, although sometimes we bring our own at Frank’s insistence fermented soy sauce when we remember), pickled ginger sweetened with aspartame (which I don’t eat actually since it gives me sharp pains in my side). I sound like I’m just falling apart, don’t I? It’s really not that bad, visibly, but I have delayed reactions later. Generally, I hear people in the real food community say they eat “80/20”—that is, 80% real food, 20% prepared/processed food. For Frank and I, it’s really more like 95/5. No joke. The reason? That’s what Frank calls me, at least. You know? 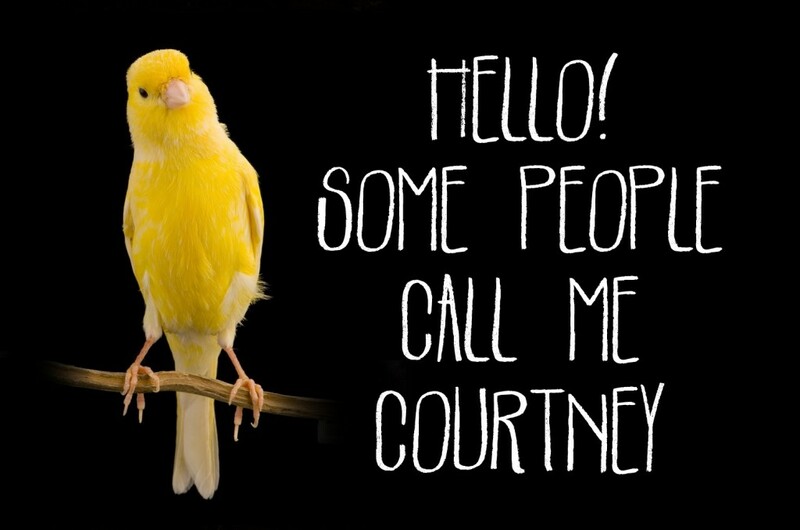 The canary in the mine? This is because I react to so many things , when other people don’t. I don’t know why this happens. But, in many ways, it has been a blessing because it has led me down this journey of finding true health and healing. Anyway, so tonight, we went out to eat a nice sushi dinner. I avoided the aspartame-sweetened ginger, we requested our cooked roll NOT be baked in aluminum foil, and we only used the teensiest bit of soy sauce! But when we got home, my right eye started poofing up. I honestly don’t know if it was something in the food, something the food touched, a perfume someone was wearing, the nail salon we passed on the way to the restaurant that made me retch for 60 seconds. Maybe it was something I touched and then rubbed on my eye accidentally. I DON’T KNOW. All I know is that this kind of thing happens way more often than I’d like. The last time I wore eyeliner, one eye was swollen closed for a WEEK. Luckily, I have an entire arsenal of natural remedies just waiting in my kitchen! Very quickly, I mixed together 1/4 tsp turmeric, 1/4 tsp arrowroot powder, and 1/2 tsp of milk kefir. Stir with a very tiny utensil, like a toothpick or a chopstick. Then, I added one drop of water at a time until the mixture became a thick paste. I applied the paste to the effected area with a clean finger, and let it dry. After it dried, it felt very tingly, but the swelling went down almost immediately. Within 5 minutes, the swelling had reduced by half, and within 20 minutes, it was completely gone. I think it was really important that I applied the paste as soon as possible. If you don’t have any kefir, I think the paste would work just as well with just water. If you have milk, that’s even better because there is some sort of reaction turmeric has with milk that’s good. I don’t know enough to explain it… But either way, it’s the turmeric that helps with the swelling! I just like the idea of using kefir where-ever possible, since it’s such a superfood! Anyway, hope this helps you next time you get a stye! Worked wonders for me!! P.S. 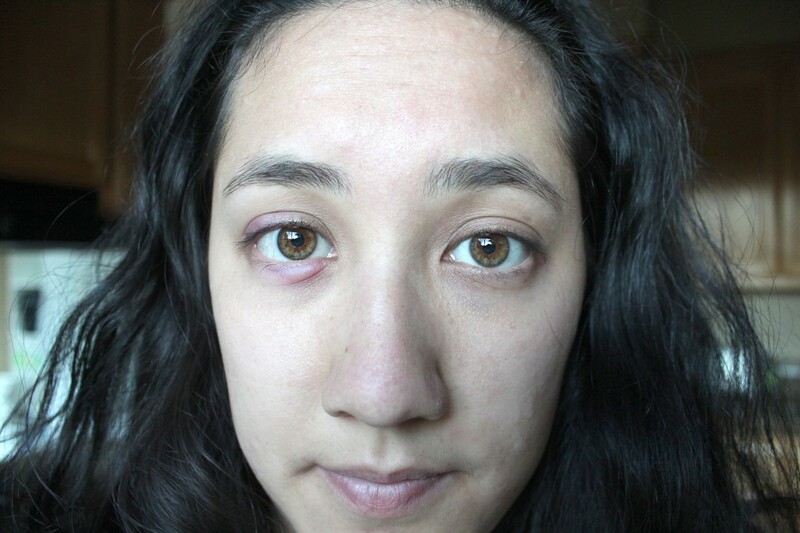 Eye styes can be caused by infections or by allergic reactions. The beauty of using turmeric is that it *should* work for both! It reduces inflammation AND cleanses the blood from toxins! Yay! PreviousPrevious post:We gave up toilet paper! (& switched to family cloth)NextNext post:“From Scratch” – THE traditional foods cookbook of the year, is finally HERE!!! I have recently got two styes in the same eye. Where would I but most of these ingredients at? You can get turmeric at any grocery store. I would mix with milk. Unbelievable! 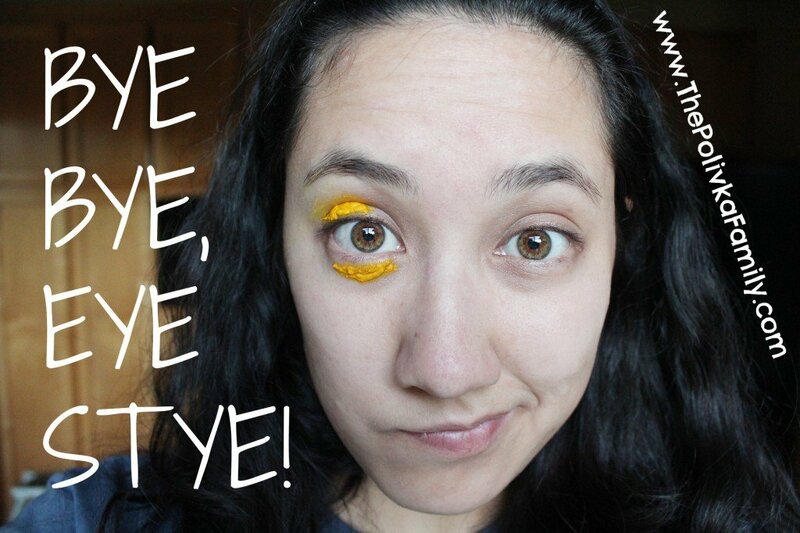 I tried this with a stye that had already developed the white bump and by the time I took off the turmeric, having left it on for about 15 minutes, it was already almost entirely gone! I’ve repeated it a few times. I cannot believe how great this cure is!! THANK YOU! I also did colloidal silver drops in between applications and some essential oils to boot.